The spiritual program is the core of our work at Westview Boys’ Home. Young men are encouraged in their relationship with God that helps bring all of their other relationships into an appropriate focus. Spiritual activities are varied. Every young man at the Home attends the Childress Church of Christ every Sunday and Wednesday. We encourage our young men to attend youth group activities, including devotionals, parties, Sunday Night Lives, and youth rallies. Each house (caregivers and residents) attends at least one session of church camp every summer. There are also regular devotionals. Our young men are also allowed to participate in Leadership Training for Christ, an effective leadership development tool for young people in the church. The young men attend church with their caregivers and learn first how to respect the worship of others, and second, how they can choose to worship themselves. The church is supportive of the young men from Westview and encourages them to learn how to develop their worship leadership skills, whether that might be leading a prayer, waiting on the Lord’s table, leading singing, or presenting a devotional message. Young men are encouraged (but never required) to give as they are prospered, and to find a way to use their blessings and gifts in God’s service. Each house at Westview has its own regular devotionals. In the privacy of the house, and among a small group, there is a time to talk about God’s word and a time for prayer. Not only do caregivers talk about their relationship with God, but they encourage every member of the house to discover their own connection to the divine. As the young men mature, and if they grow comfortable with doing so, they are encouraged to lead a devotional and to present a devotional message. All of our houses attend a week of summer church camps. This is a wonderful week for all in the house to build relationships with each other away from campus. 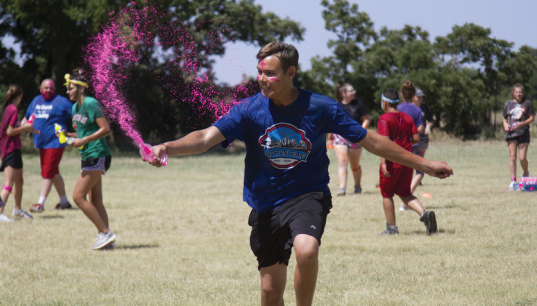 For many years, Westview has had a partnership with Camp Lu-Jo KISMIF, west of Faxon, OK. At these camps, our young men and staff are a part of several different camp sessions. At these camp sessions, the houses have the opportunity to meet with larger groups of young people, discover how to interact with them socially, enjoy fun activities, and learn about God together. Westview Boys’ Home partners with Leadership Training for Christ, a non-profit organization designed to stimulate and encourage spiritual, mental, and social growth among young men and women in grades three through twelve. Its mission is to achieve this growth by developing skills in leadership, Bible knowledge, and Christian servanthood. The youth who participate in this program learn to live the servant leadership lifestyle. Skill development in each of these areas is accomplished through participation in a variety of individual (song leading, speech, Bible reading) and group events (puppets, chorus, and Christian drama). These events take place within the context of a wholesome and supportive environment designed for the purpose of fostering enthusiasm and high achievement among the participants from the Churches of Christ. Some young men choose to acquire a faith that causes them to seek to serve others. 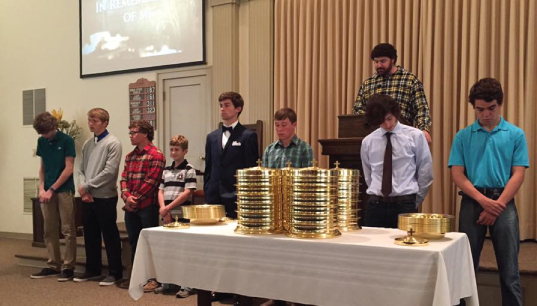 Westview helps these young men participate in both domestic and foreign mission trips as the opportunity arises. Past mission trips have been to inner city areas of large metropolitan areas within the United States and to Honduras. The work on these trips has included conducting a Vacation Bible School, building homes for the poor, feeding the homeless, and helping with medical clinics in under-served areas.